Apple’s laptops have received almost universal acclaim, and yet Apple itself is not a volume leader when it comes to laptop sales. The reason for this is simple: price. Apple laptops are very expensive, and for many people fitting an Apple laptop into the budget is difficult. There are ways to find cheap Apple Mac laptops, however. In this guide we will take a look at different ways you can purchase Apple laptops for under $1000 dollars. Because Apple rarely offers new products for this price, most of our options will be used or refurbished machines. Of all Apple laptops there is only one cheap Apple Mac laptop that can be had new – the MacBook, a well-reviewed machine that costs $999. The MacBook actually is a very comparable machine to the MacBook Pro. The hardware inside each of the machines is very similar, with the exception that the MacBook only has 2GB of RAM. The Pro has more ports, and other benefits like an aluminum chassis and backlit keyboard, but those features are not critical. 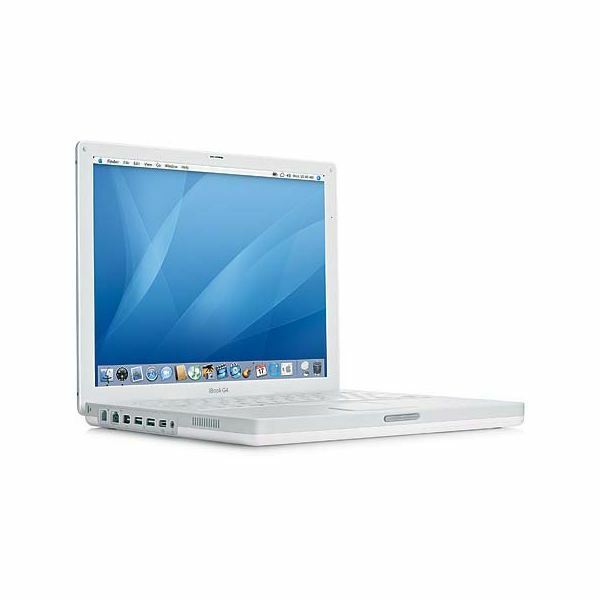 Although the Apple MacBook is the cheapest Apple Laptop, it is best described as inexpensive. It is a very, very solid machine that is built to a far higher quality standard then most PC laptops, including those that are of around the same price. The MacBook also has amazing battery life well in excess of most PC laptops. It can be reasonably expected to last for seven hours under normal usage. This means web surfing with the display a few steps away from maximum brightness. If you can’t afford the $999 MacBook, or you want to purchase a MacBook Pro, you’ll need to think about picking up a refurbished model. Many prospective buyers have a few reservations about buying a refurb. There is actually no reason to be apprehensive, and it is a great way to get your hands on a cheap Apple Mac laptop. Refurbished laptops are models that were returned or are overstock from previous models that are now discontinued. They are effectively new machines in every way that matters. Unless specifically stated otherwise, they are not scratch-and-dent or repairs. If that doesn’t give you peace of mind, the fact that refurbished MacBooks from Apple carry the full Apple warranty should help. 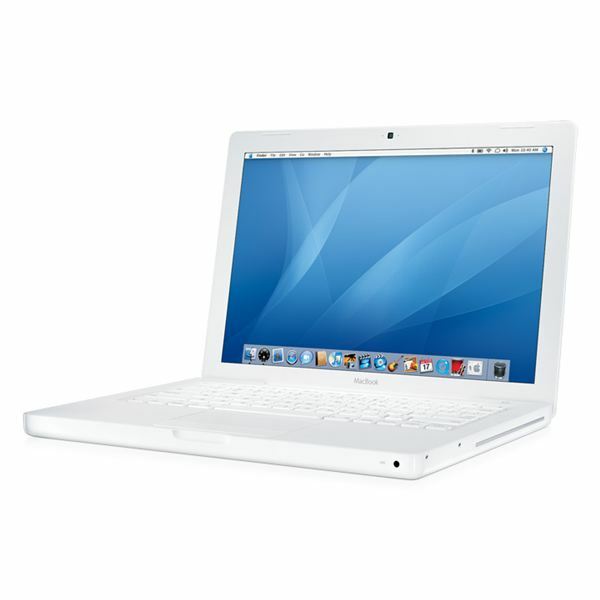 Although refurbished MacBooks are less expensive than new, they are not hugely discounted. Expect the prices to be around 20% off at most. This means that you will at best find MacBooks around $799.99 and MacBook Pros around $999.99. You’re most likely to find these prices at the end of a product cycle, when new models are coming and the old ones have to be cleared out. If you are looking for a cheap Apple laptop and you are still having trouble fitting a refurbished model into your budget, you might want to start looking at used or non-factory refurbished models. There are many places, both brick-and-mortar and online, that sell used MacBooks and MacBook Pros. On the MacBook side, you can typically find the 13 inch models for around $700 or perhaps a little less. Of course, this will not be the latest model, but rather an older model with a slower processor and smaller battery. On the upside, you may be able to find a deal on the now rare black MacBooks that are no longer produced. If you want a MacBook Pro, you can find decent deals on models of just about any size, but the larger models will still command a premium. Older MacBook Pro 13 and 15 inch notebooks can be found in the $700 to $800 range, usually with a Core 2 Duo around 2Ghz. These models are still well built, however, and are fast enough for most tasks. If you are really on a budget – say, you can’t spend more than $600 dollars – you will need to reach far back to find a cheap Apple laptop. This means reaching back into the iBook era. These laptops are by now at least 4 years old, and they pre-date Apple’s switch to Intel processors for all of its products. They instead use the G4 processor. There is nothing wrong with the processor, but it is important to note if you intend to run Windows alongside the Mac OS – doing so will be more difficult. As with any laptop over three years old, buying an iBook could be a bit risky. These are well out of warranty, although most reputable sellers will offer a 30-day guarantee. Of course, the prices are hard to complain about. Used iBooks can be found for between $300 and $600, and if you buy from an individual you could probably snag one for under $300. While these laptops do not have the unibody design of newer MacBooks, they are still well constructed and look good.